The Nights seized European readers' imaginations during the si cle des Lumi res, inspiring imitations, spoofs, turqueries, extravaganzas, pantomimes, and mauresque tastes in dress and furniture. Writers from Voltaire to Goethe to Borges, filmmakers from Raoul Walsh on, and countless authors of children's books have adapted its stories. What gives these tales their enduring power to bring pleasure to readers and audiences? Their appeal, Marina Warner suggests, lies in how the stories' magic stimulates the creative activity of the imagination. Their popularity during the Enlightenment was no accident: dreams, projections, and fantasies are essential to making the leap beyond the frontiers of accepted knowledge into new scientific and literary spheres. The magical tradition, so long disavowed by Western rationality, underlies modernity's most characteristic developments, including the charmed states of brand-name luxury goods, paper money, and psychoanalytic dream interpretation. 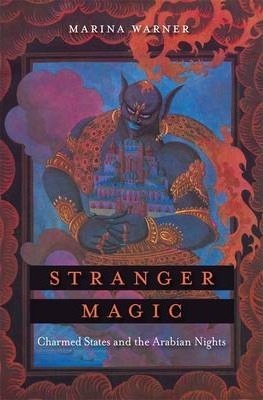 In Warner's hands, the Nights reveal the underappreciated cultural exchanges between East and West, Islam and Christianity, and cast light on the magical underpinnings of contemporary experience, where mythical principles, as distinct from religious belief, enjoy growing acceptance. These tales meet the need for enchantment, in the safe guise of oriental costume.